150 years ago, a tall, self-made white man from Springfield called on the General Assembly to protect the rights of minorities by abolishing slavery and ratifying the 13th Amendment. Last week, another tall, self-made white man who lives in Springfield called on the General Assembly to remove institutional barriers facing racial minorities. He called for greater inclusion in trade unions, specifically noting the lack of racial minorities in apprenticeship programs. He called for a 25 percent reduction in the prison population (overwhelmingly filled with racial minorities). 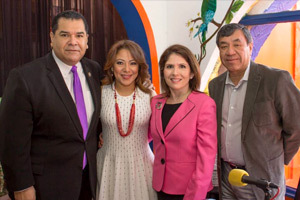 He pledged to invest in minority businesses and insist that government contractors work with minority entrepreneurs. This man's name wasn't Abraham. His name is Bruce. And his sincere commitment to racial minorities should be acknowledged and celebrated. 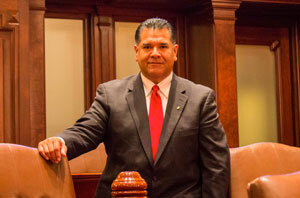 Senate Transportation Committee Chair State Senator Martin Sandoval (D-Chicago) voted recently on a measure aimed at providing a reasonable set of standards for commercial ridesharing companies, ensuring public safety and protecting Illinois citizens. 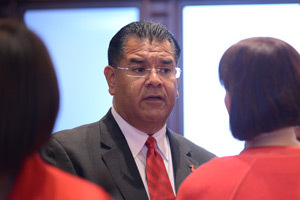 House Bill 4075, named the Ridesharing Arrangements and Consumer Protection Act, will require commercial ridesharing companies to have adequate insurance, contract with drivers who are appropriately licensed, use vehicles that are inspected for safety and serve customers with disabilities and in underserved communities. The Illinois General Assembly passed the Ridesharing Arrangements Act in 1983 to permit carpooling and other similar activities. The legislation was narrowly crafted to prohibit alternative taxi services from operating in the state. UberX, Lyft and Sidecar have been openly operating in the City of Chicago and the city’s affluent suburbs without abiding by any regulations. This measure has passed both the House of Representatives and the Senate. SPRINGFIELD – With the new concealed carry law, business locations may post a graphic “no-guns-allowed” sign. 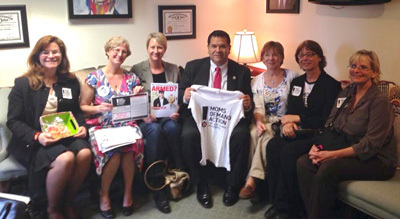 State Senator Martin Sandoval (D-11) hosted members of Moms In Action (MIA) at his State Capitol office to hear their proposal to replace the pictoral sign with a written version instead. The purpose of removing the image of the gun from the sign is to ease the worry of a potential threat when patronizing local businesses. Moms In Action is a group of moms of all ages who meet monthly for fellowship, growth in their relationship with Christ, and to serve others and the community.